The true story of a young imposter with a talent for crashing celebrity events who discovers what's really important in life. 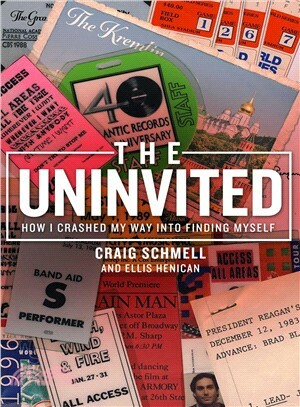 Singing on stage at the Grammys, getting high inside the Kremlin, driving in a U.S. president's motorcade—Craig Schmell has a world-class talent for talking his way into places he does not belong. But when his self-absorbed life crashes down around him, he finally learns how to be a better man. An inspiring coming-of-age story with cameos by some of the biggest stars of Hollywood and rock 'n' roll. The Uninvited is funny, insightful, and stunningly true. Craig Schmell is a 25-year veteran of Wall Street and a successful business owner in the fitness and food-service fields. He is a popular public speaker and advocate on addiction issues and a dedicated peer counselor. A graduate of Syracuse University and Touro Law Center, he lives in New Jersey and New York City with his two teenage daughters. His website is www.IAmTheUninvited.com. These days, he almost never sneaks into anywhere he doesn't belong.